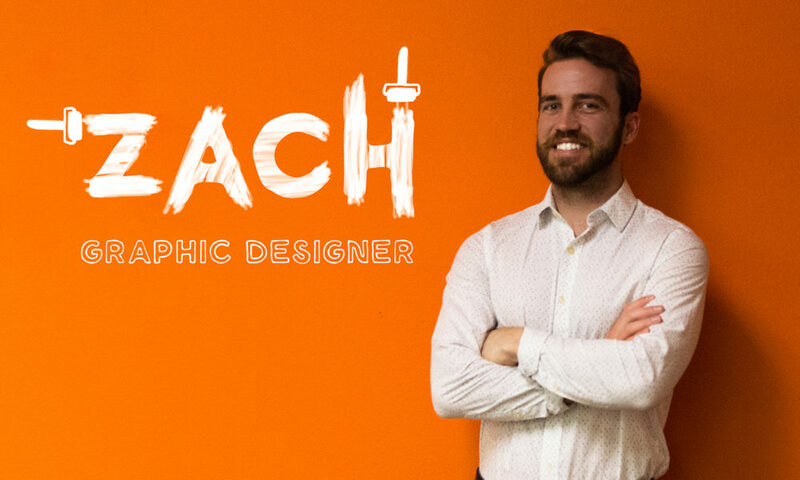 Zach Patton, one of our talented graphic designers, is creative, funny and a chronic ice-chewer. More often than not, you can count on Zach to be the most stylish guy in the office. Whether Zach is on an adventure snapping pics of his muse – Maple, his adorable dog – or shopping for new additions to his wardrobe; you can always count on him to whip up a quick design for whatever project he is working on. Between all of that, we were able to ask Zach about a few of his favorite things. Check it out right here. Two to three—and a dessert plate afterwards. Spotify! Discover Weekly is usually on point. The last time I went somewhere to eat after a night out was at Velvet Taco when I was still living in Dallas. Buying clothes and shoes. Look good, feel good! My friend, Eric. I probably deserved it. A chef or an olympian gymnast. No. The only time I make the bed is when the sheets are pulled out of the dryer. According to my coworkers, I resemble Jake Gyllenhaal. I browse Instagram a lot and make notes and little doodles. Walking outside helps too. Coffee (thanks a lot Brayden), the sunshine, and my dog, Maple. I don’t take them too often. Only when I’m feeling 100%. I’ve binged so many shows on Netflix, Hulu, and HBO it’s hard to choose one. Recently I’ve binged a show called Schitt’s Creek, and it’s hilarious. What would you do if you didn’t work in advertising? Probably be a personal trainer or do something in printing/photography. My senior year of college I curated a small gallery in the school of art with letterpressed prints. All of the prints were made from masonite stencils cut from the laser cutter. It was part of a final project for one of my classes about combining modern technology with old techniques of printing. I recently discovered Roosevelt and XY&O on Spotify so I’m listening to their albums right now. What five famous people dead or alive would you invite to dinner? Dan Levy, Nyle DiMarco, and Miguel Angel Silvestre (in hopes that one of them would date me). For conversations, I would invite Viola Davis and Lorde. Halloween hands down. It’s close to my birthday so I usually do a birthday/holiday celebration combo and I usually make my own costumes each year. Usually something outdoors with my dog. I’m trying to get to know my camera more. On the opposite side of the spectrum, binging TV shows. Favorite country to visit, or wish to visit? I want to go on snowboarding trips in Europe. Just put on any of Wes Anderson’s films and I’ll be golden. Favorite movie of the past five years? I’m more of a TV show person than a movie person, but Gone Girl was pretty insane. A Christmas Story. My family and I would watch that all the time when I was a youngin’. Cutest thing on planet Earth? What was your strangest previous job? Well my boss passed away the first week of employment…so that was strange. If I don’t hear you or misunderstood the entire conversation that we just had, it’s because I’m deaf in my left ear. Or I wasn’t listening.